Hello friends! 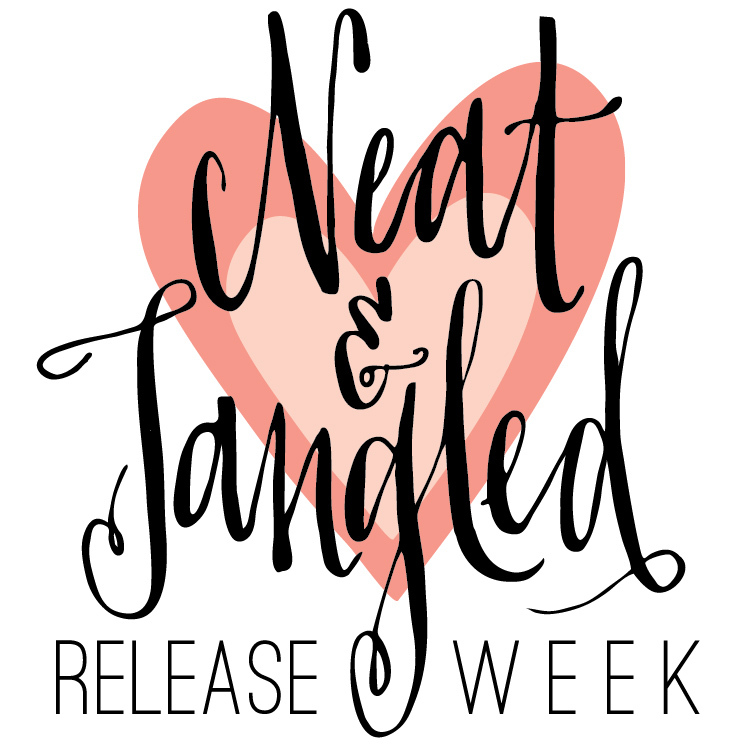 Welcome to our January 2015 release week! We are so excited to have you join us. 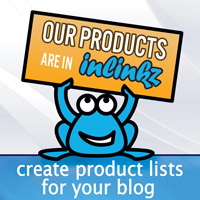 We have LOADS of fun, inspiration, and giveaways for you! 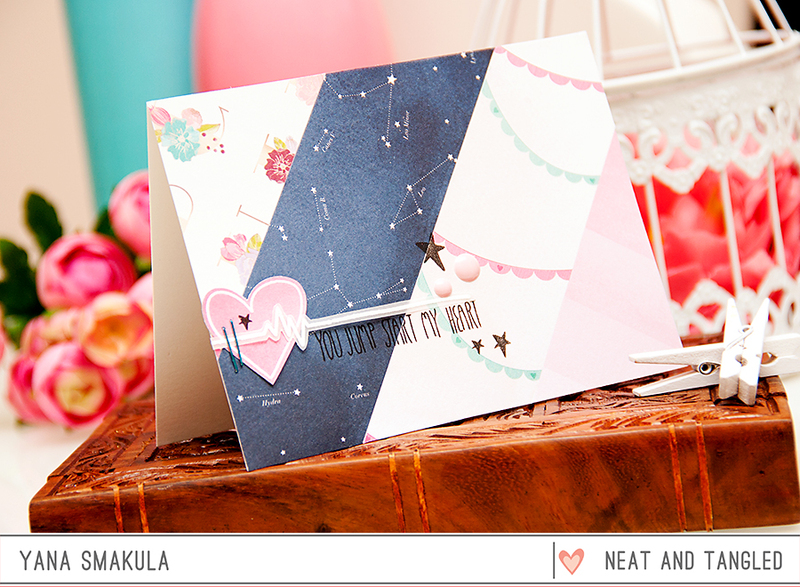 We will be introducing 5 new stamp sets, 3 dies, and a new sequin mix! Be sure to stop by everyday. All stamps, dies and sequins will be available in the shop on Friday, January 16th at 8am EST. 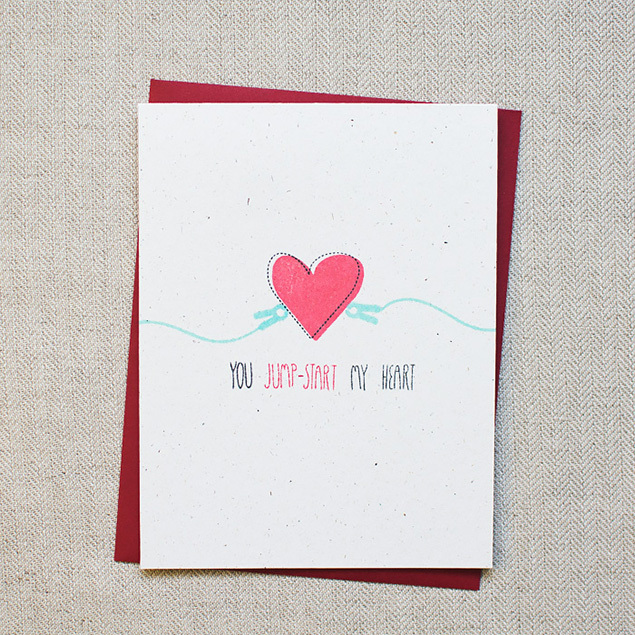 My inspiration came from my Jumpstart My Heart card that I made last February. All the images created based on car jump-starter: battery, cables, spark...... You can create a pattern by combining solid heart and outline heart. 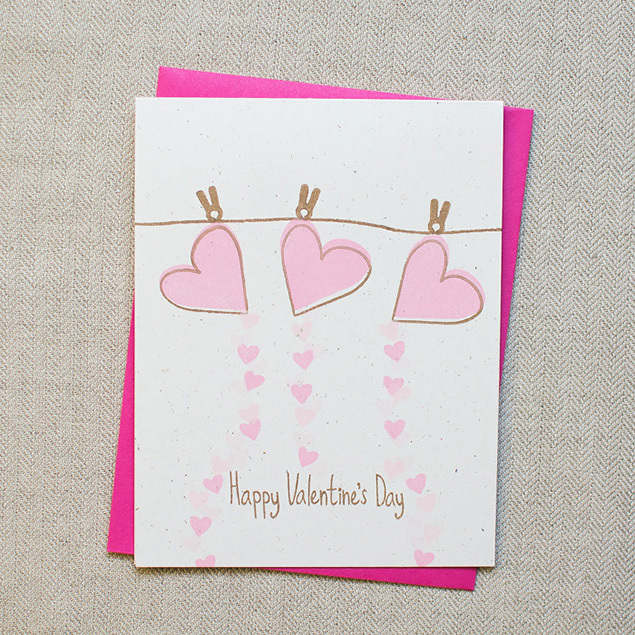 Clothespins and strings are great elements to create a fun scene on your card. When combined with the clothespins and strings, the possibilities are endless! 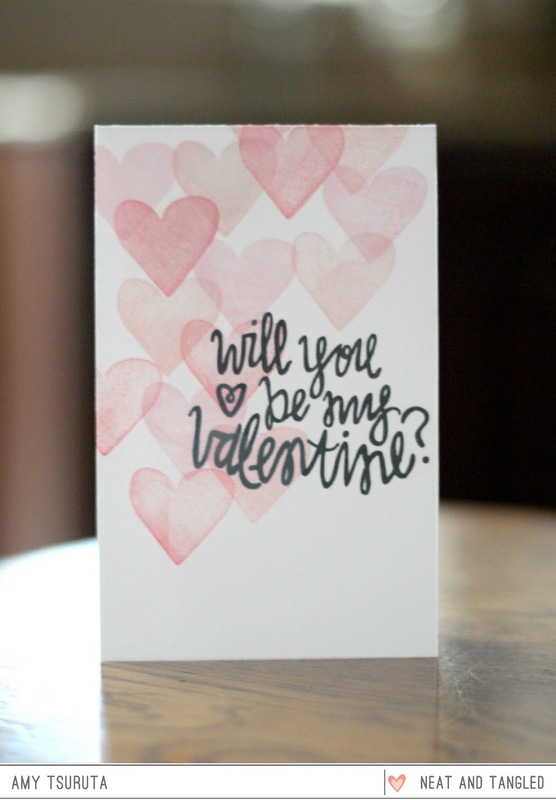 By mixing up the separate word stamps, you can make seven or more sentiments. 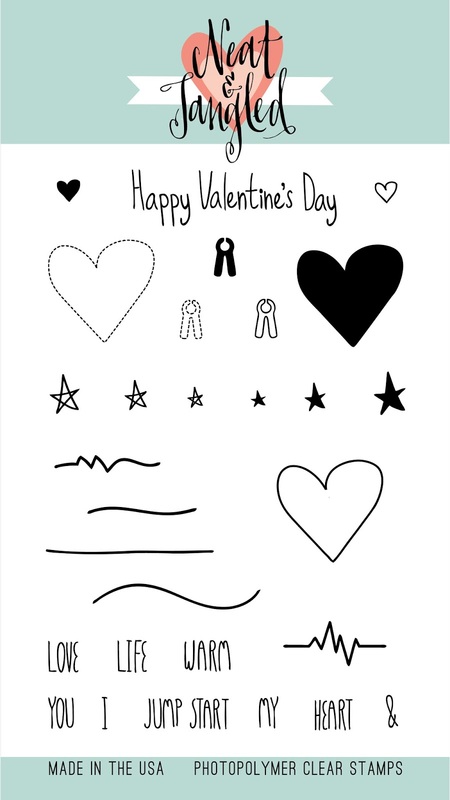 This stamp set would be perfect for Valentine's Day card or any love themed card. And just wait until you see what the girls have for you today! See you tomorrow for more fun! Wow, Congratulations May - lovely stamp set! Great Release! Love the DT cards! They are fantastic!!! At first site of the stamp set I thought "hmm" then when I saw all the DT projects I said "woah woah wait a.minute." what talent!! What a unique stamp set!! Love it!! Love all the inspiration!! Such a fabulous heart set to add to your collection! Love the heart beats and "jumper cables"!! LOL! Congrats May!!! What a fun stamp set - and love the inspiration story!!! I have had that problem in the past myself, once with a car that had a battery going bad, and even if I didn't leave the lights on, it died wherever I went unless I unhooked the battery every time I stopped the car. I felt a little ridiculous whenever I was shopping and had to open the hood and unhook the battery before going in! Oh what a fantastic stamp set, from an even more fantastic designer!!! Love it, May! Congratulations! Congrats to May, that's awesome news! What a totally cute and clever stamp set! And the samples are fantastic! Oh my goodness - awesome stamp set! Love the idea behind it (but hate the frustration you must have felt May!!)! Congratulations on this stamp set - I really love all of the cards here!! Beautiful! Fabulous cards and what an adorable stamp set! It took looking at all the samples to see what this stamp sets potential is. Very cute. Congrats to May on her fun stamp set! Great cards to show it off! As an engineering family we LOVE this set!!! Such a sweet set! Awesome cards, ladies! Sweet batch of cards from a sweet set! So cute! My husband would get a kick out of the jumper cables. This is a cute and clever stamp set! Fun designs! I am always so amazed at what your talented designers create with the stamp sets. Love All the cards using the new stamp set. May's cards are plain and simple but so pretty. 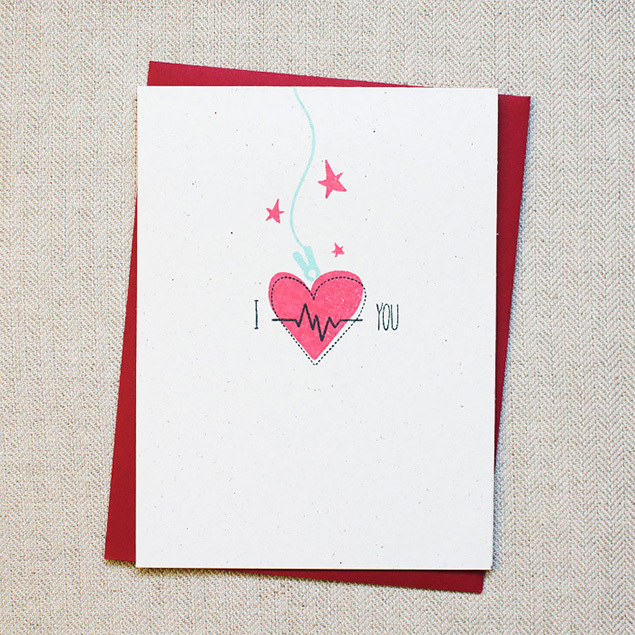 The DT's cards are great - Rachel's with the EKG look and Miriam's with the jumper cables. Those really caught my eye. thanks to everyone for sharing such wonderful cards. Oh my gosh! This is so perfect for my husband who is a mechanic! Ohhhhh this release! Talk about jump starting my heart!! Yowzers!! Cute stamp set. I love the yellow hearts and the off stamping. Really cute. Wow the stamps for today are perfect for the next valentines day!!! and the inspiring of DT is awesome! I'm a follower. Love this set & all the DT cards are wonderful! I get your blog posts via my Bloglovin' feed...yay! Love this new set! Congrats May! All the cards are awesome! Love the stamp set, so many choices for designing. Sweet stamp set and cards by the DT! Very clever stamp set and fabulous examples. Adorable Stamp set and all the cards are so much fun! and am following here by google. Love the inspiration from the DT. I also was a bit unsure of this stamp set, but seeing the dt use them makes me see what a great set it really is. Fabulous stamp set and the DT did a great job show casing this awesome set!!! Love all these cards! Thanks for the inspiration! This is such a great release! Love this release. So clever. Now I want it all. So clever! Really love the Jumpstart sentiment! Congrats, May! This stamp set is adorable and the different ways the team used this set is truly inspiring! OhmyGoodness! 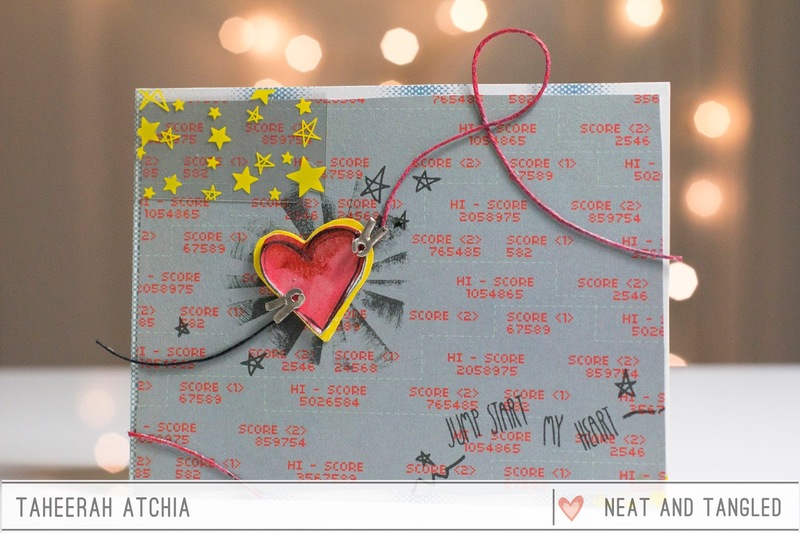 Love that Jump Start My Heart stamp set and Mayuri's gold-kissed hearts card! those samples are so cute! Love the hearts that are upside down that makes a great background to what ever you place on top. thank you for sharing!! 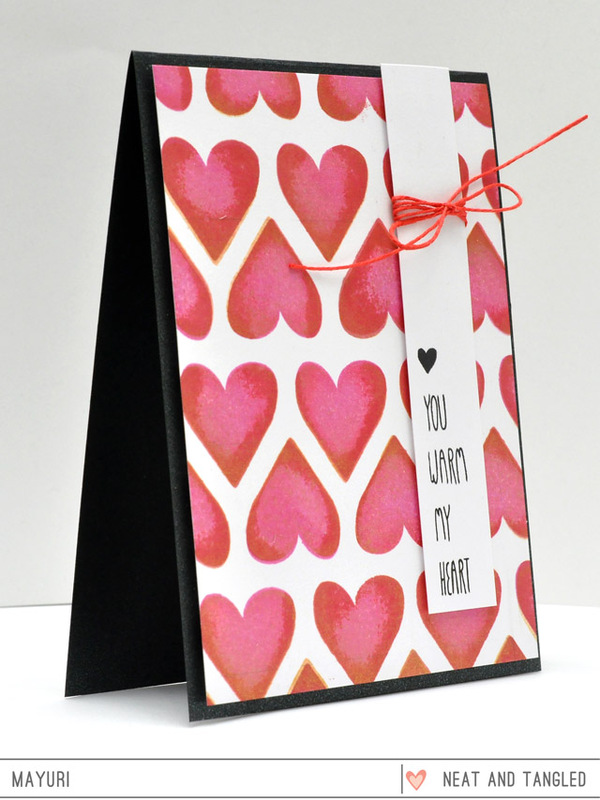 Love this set, so versatile and all the DT cards are awesome, love the gold hearts and the sentiments you can create! Such a super cute stamps set and wonderful cards from the DT. Totally fun stamp set!!!! Love how the designers used it!! So fun! These designers are incredible! Another great release ..Love the projects showcased by the DT's ..Such an amazing line up of inspiration !! 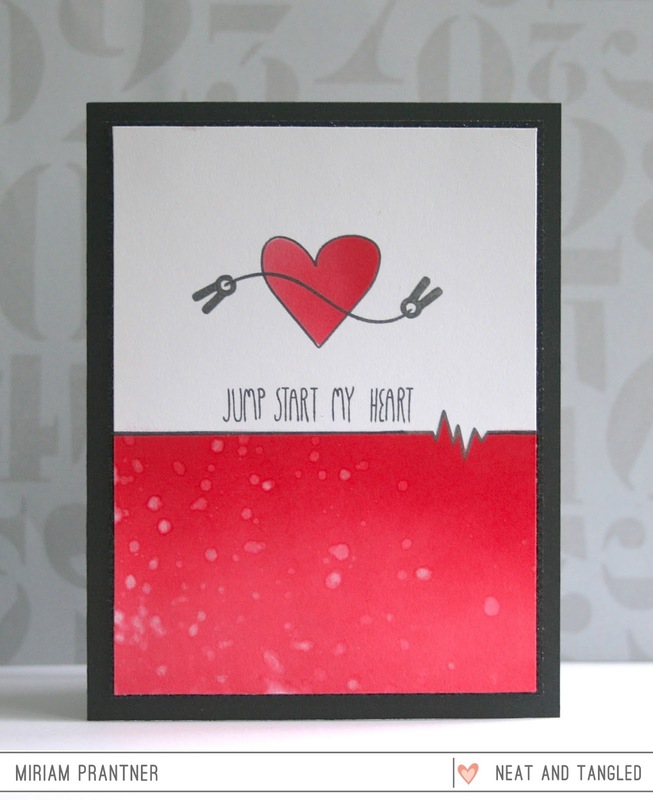 Jumpstart my heart is such a cute and clever idea. So unique! Love what the team did with it. I think you really jumpstarted their creativity!! I follow on Google Friend. Thanks for the chance to win! Great release! Can't wait to place my order. I have so many ideas and want to get started! Love the new stamp sets. Jump Start My Heart is now my fav! TFS. LOVE this set and the samples! Such a cute stamp set! Whoop whoop! Big congrats to May on her fabulous designs! Se and N&T make a great team! I love the samples made with this set! The little jumper cables are adorable! I gotta get this set (I usually don't like the holiday themed sets, so that's big!). I remember May's jumper cable card! What a great set. Actually versatile too. I just read this post and got too interesting fact here. it is very impressive post. Good Job! I really love this set and the samples, there are very good and you have very impressive post. Yeah! These all samples are very lovely. These all samples are too impressive also. I would love to share this. Stretching Your Stamps And Dies With Taheerah! 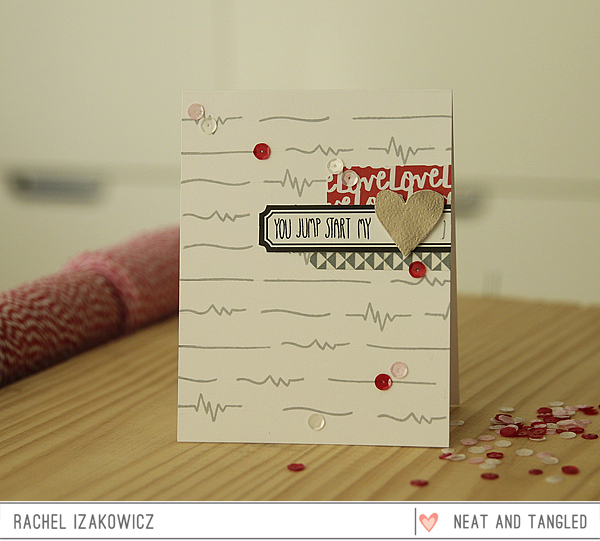 January Guest Designer: Laura Sterckx! 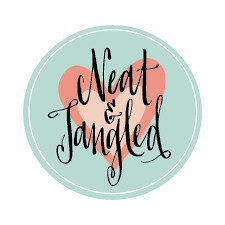 You're So Neat Incentive Program!